Let’s talk about what it takes to train for a marathon, when you’re NO professional runner. Some people train like it’s their day job (for some people, it actually is their day job..), but for us “regulars” – this sh!ts tough. 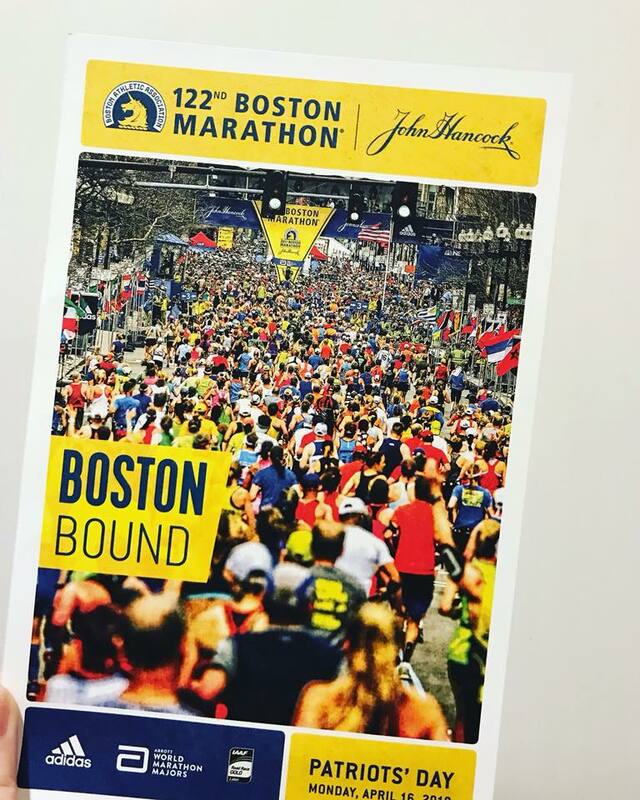 Backup a few months, I was scrolling through IG, and I stumbled upon an old classmate who posted about an organization looking for charity runners to run the Boston Marathon. I jumped in and applied, because.. why not? It had always been a goal of mine, I just had never had the opportunity, and after all it was just an application. Next thing, I got a phone call thanking me for applying and they set me up with a phone interview. I had my interview where I told them I had done some fundraising in the past, have run a few half marathons, have never been injured, etc. etc. Then a few weeks later, I got the CONGRATULATIONS- you’re in! OMG. wut. how? What do I do?! I guess I should start running. I started training right around Thanksgiving – which is earlier than norm for Boston. More experienced runners really don’t need to start until mid-December, but I needed all the time I had to begin building my base-mileage and strength. It started slow and fine… 4 miles here, 6 there. Come January, things really ramped up and I felt myself more challenged than I ever had been before. As I mentioned, I had run a few half marathons in the past, so I wasn’t too intimidated with 9 miles.. 11 miles.. However, once I passed that 13 mile mark, my little world started to panic. Knowing I had a 14, then 16, then 18 mile runs coming up on weekends, had me feeling uneasy all week. And those distances were all smack in the middle of winter, so it would be 10 degrees, and I’d layer up and run 14 miles, it was just ridiculous. I would wear a scarf over my face so that my lungs wouldn’t freeze, and no matter how many layers I wore, my skin would still be discolored when I was finished. That was tough to get through. I didn’t realize then, though, that those runs were building mental toughness that I would desperately need in just a few weeks. And then I got hurt. Couldn’t walk for five days kind of hurt. After 2-3 days of not being able to put any weight on my foot, I went to the doctor and learned I sprained my peroneal tendon, which is one of the tendons that connects your ankle to your foot (I had rolled my ankle). I had to take two weeks off of training – right in the middle of February. This crushed my spirit, but instead of letting it defeat me, I began to treat my injury like it was my sport. I babied my foot – I iced often, I tried to stay off it as much as I could, I bought new, supportive shoes and stopped wearing heels, I did strengthening exercises, and began going to physical therapy three times a week. It worked. I got through that (I still go to PT, twice a week now, just to keep it in check). I have learned through this process how incredibly resilient our bodies are. I have learned to respect my body in a way I never had before. Your head will tell you to quit way before your legs will ever give in. Every day- foam roll, drink LOTS of water, eat balanced meals of carbs/protein. Before I started training, I thought that marathon training consisted of running 5x a week. It doesn’t. Elite runners can withstand that, but it actually just creates a higher risk of injury for an intermediate or beginner runners. For Boston, the long run is the most important workout of the week, followed by the hill intervals. Another thing I didn’t realize, it is important to eat and drink during your long runs, I had no idea people actually eat during runs. 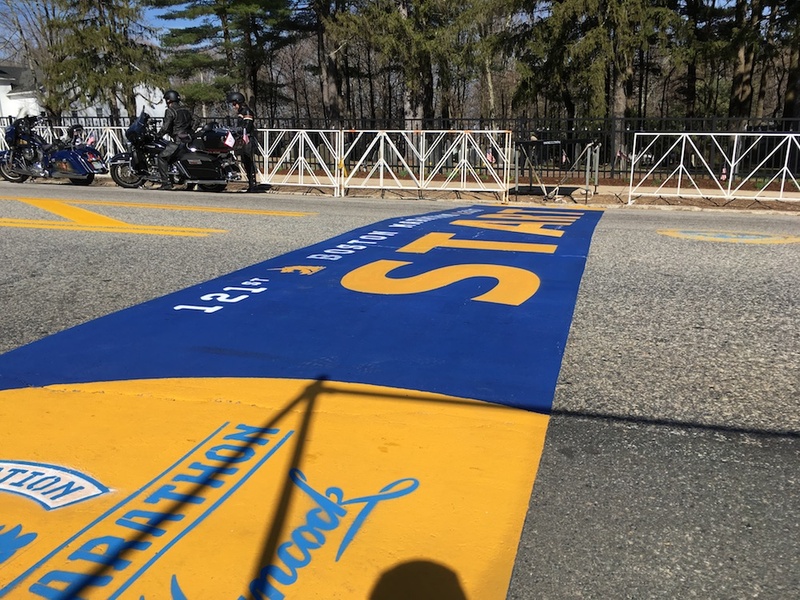 Luckily, training on the course for Boston, there are so many other runners out that the charities actually have water stops for Saturday morning long runs. I try to switch off between Gatorade/water every other stop, and I have 1-2 Swedish fish every few miles. I tried all kinds of gels like GU, I just couldn’t get past the texture, but I like the Cliff energy gels, I will be bringing those with me on the marathon. The long runs are a good time to try out different snacks and drinks to find what works best for you for the big day. This past weekend I completed the Mother of All Runs – 20 miles. Now begins the taper. It will have changed my life. I’m not there yet, so I’m hoping in the best of ways but either way, it will have changed my life because I will have done something that I NEVER thought I was capable of doing. I get emotional just thinking about the finish line. The day that has always only been a dream, is almost here, I can see it. I have all of my plans in place, where and when to pick up my bib, what time I need to get on the bus that’ll take me out to Hopkinton. My focus now is rest, recovery, and staying healthy. My training has peaked, and I survived it, now I just need to trust in my training, and get to the start line. This sh!t is tough! I’m 13 weeks training for my marathon and this week’s run ended in lots of tears. Not only is it physically exhausting, the mental game is so real. The mental part of it is SO real, I hear ya!!! The reward is so close though. We will get there!!! I don’t know how I missed this post, but read it just now. HOLY CRAP. What a training schedule….I never knew. Amazing accomplishment. I’m so proud of you.